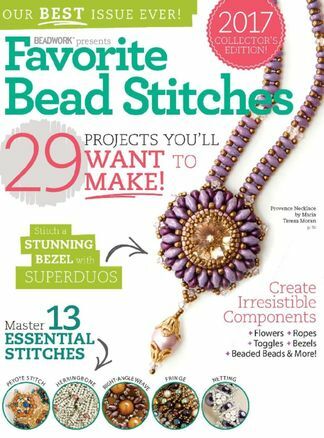 Boost your jewelry-making skills with a fabulous treasury of bead designs, including tips and how-tos in the beaders' favorite stitches such as peyote, herringbone, and right-angle weave. Enhance your seed-bead designs with expert tips from top designers and step-by-step instructions on how to make 23 necklaces, 15 bracelets, and 3 pairs of earrings! Be the first person to tell us what you think about Favorite Bead Stitches and you'll save $5 on your next purchase!